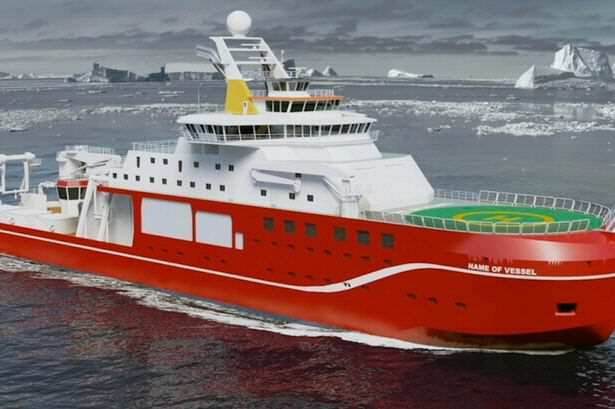 Although it sounds like our hopes and dreams of a Royal Research Vessel being named Boaty McBoatface may be dashed – its spirit lives on. In spite of a whopping 30,000 people voting for the name in an online poll, the spoilsport competition rules state that the final selection will be decided by the Natural Environment Research Council (NERC). Lord West, ex-First Sea Lord, added he was rather proud of the ‘silly names’ that had been suggested but hoped none were chosen. However, all is not lost as the competition seems to have inspired South West trains to rename one of its carriages ‘Trainy McTrainface’, reports the Huffington Post. Brilliantly, it’s not just the train company that’ve caught on to the hype. BBC Newsnight presenter Evan Davis signed off Monday evening’s programme as ‘Newsy McNewsnight’. @RizLateef Evan Davis just signed off Newsnight with Newsy McNewsnight.